Created by Charles Tanqueray in 1830, Tanqueray London Dry Gin is made today according to the same classic, timeless recipe. Its iconic bottle shape is inspired by a three-part cocktail shaker made famous during Prohibition's classic cocktail movement in the “Roaring 1920s.” The pineapple fruit, which was once considered so exotic that it became the ultimate symbol of hospitality in 1830s England, featured in the Tanqueray family crest and it adorns every bottle from the Tanqueray Distilling Company. 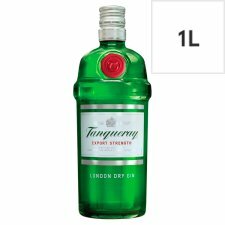 Tanqueray London Dry Gin is distilled four times and has the perfect balance of four classic gin botanicals - refreshing juniper, peppery coriander, aromatic angelica and sweet liquorice. It is best enjoyed with tonic water, plenty of ice and a wedge of lime, but can be used as a great base for a wide range of cocktails. 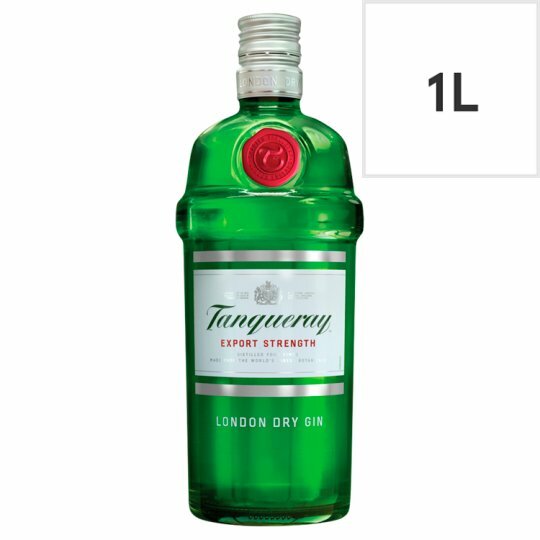 Tanqueray London Dry Gin has won multiple awards including recent accolades from the World's 50 Best Bars (Drinks International Brands Report 2016). It was judged to be the top trending gin, the best-selling gin and the bartender's overall favourite spirit. 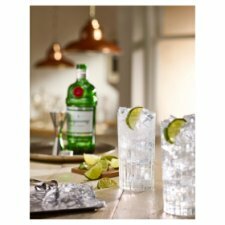 Tanqueray London Dry Gin is a perfect balance of four botanicals - juniper, coriander, angelica and liquorice. It is distilled four times to remove any traces of neutral grain spirit and allow the added flavours of the four classic gin botanicals to shine through.